In, 2013, ERAB: The European Foundation for Alcohol Research celebrated its 10th Anniversary. To mark this milestone ERAB granted a new and prestigious award. The award was granted to an exceptional researcher who had achieved excellence in the field of alcohol research after many years work in the field. It was presented at the International Meeting on Alcohol and Global health (37th IMAG) Conference which took place in Amsterdam in October 2014 (13th – 14th) where the recipient gave a keynote address. The award was for €20,000. 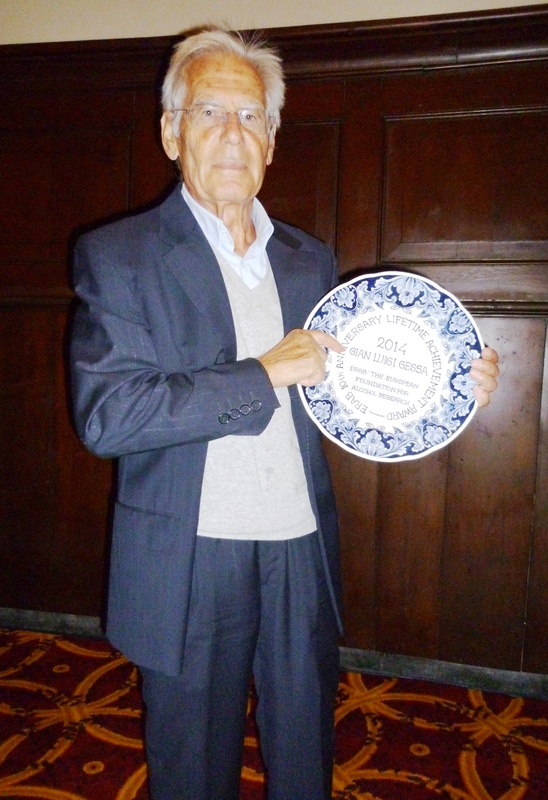 It was awarded to Emeritus Professor Gianluigi Gessa from the University of Cagliari.